APA Insurance and Enwealth Financial Services partnered Thursday in a deal that will see retirees enjoy dignified health care services during retirement. 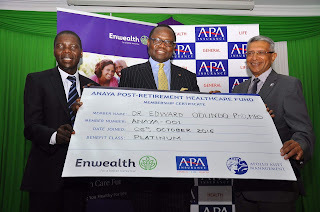 Introducing the Anaya Post Retirement Health Care plan to clients in the presence of the CEO Retirement Benefits Authority(RBA) Edward Odundo,APA Group CEO Ashok Shah and Enwealth Boss Simon Wafubwa signed the partnership that will enable easy medical bill payments by members. This is an insurance plan that will enable Enwealth members contribute little periodic savings at an early stage while they are still in employment. When these members retire and unfortunately fall ill,APA will settle their hospital bills on their behalves. This means enjoying dignified health care attention effortless in the future after retirement. 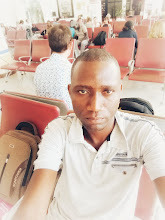 APA Insurance is a general, life and health insurance company while Enwealth is a financial consultancy and management services provider in kenya.